When I started looking for fundraising ideas last spring, I dreamed of bumping into a list like this. Now that I've baked hundreds of giant cookies, sold fair trade jewelry from around the globe, had the largest garage sale in the history of the world (that may or may not be a slight exaggeration), and spent hours scouring Google for good ideas, I feel qualified to make this ultimate list of adoption fundraisers. Include breads, cinnamon rolls, hot cocoa mixes, and more! This mom sold cake pops and she gave classes on how to make cake pops. Two ways to earn money for adoption! Cookie Dough! My sweet friend, Jen, did this for our family to raise funds for our adoption. Equal Exchange ~ Fair Trade Chocolate, Coffee, Cocoa, and Tea; they do work with adoptive families–just send them an email! This was one of our fundraisers in conjunction with our cookie stand. more about fundraising here; feel free to order something from our shop! Some people enjoy hosting these. Maybe they would do one benefiting your adoption! This family raised over $4,000 with their pancake breakfast! A fun theme would be pajamas & pancakes. The Sawtelle's had a dinner fundraiser and included authentic foods from Ethiopia. Check your local restaurants to see if they will let you work the clean-up crew for one evening and collect a percentage of the sales. The Matthews Family had fundraisers at The Pizza Ranch. This family had a fundraiser at Orange Leaf. Please read my entire post on Garage Sale Tips! A HUGE auction put together by friends of the adopting family. You will probably be surprised at how many of your crafty family and friends will be willing to donate items to your raffle or auction. Just ask and see! You don't have to put together an entire basket for a giveaway. I've seen people do giveaways or raffles for iPads, jewelry, photography packages, colorful afghans, and even a Blendtec blender. Adoptive families are creative and they make and sell just about anything and everything. There is something special about handmade items, so if you are crafty ———-> go for it! Note: Sometimes it can be expensive (too expensive) to set-up at a craft fair. Consider starting your own holiday market or summer fair. Secure a location that will donate their building and then find 15-30 vendors (however many will fit) to pay $25 each to be at the market. If you find 30, that's $750 for your fund PLUS whatever you make from your own booth. Make sure you advertise really well to make the event a grand success for all. Use social media to your advantage! Note: A quick search on Pinterest will give you a bazillion more ideas for things you can make and sell for your adoption. Jubilee's Jewels ~ stamped metal necklaces, keychains, etc. See how this family raised funds for their adoption with a Junior Bike-A-Thon. So fun! Find some stylists that want to help you out, plan a date, and go for it. Read about how the Hogeland's used "Hope Cuts" to help fund their adoption ($2,600!). Host a scrapbooking party that lasts all day! Charge a set amount for each attendee. Invite a Stampin' Up consultant or a Creative Memories consultant to demostrate new techniques. Solicit door prizes from friends; have plenty of snacks or ask each attendee to bring one. Organize an event at your local roller rink. This would be a good event for kids who want to have a part in helping your adoption. They need to get sponsors and then skate, skate, skate! As a twist on this, you could ask your local rink to donate a day. Then have a skating party and charge admission to raise funds for your adoption. Ask a local bowling alley or mini-golf course to donate a day to your cause. You could also create your own family fun time at a church (popcorn and a family friend movie; board games to play; lots of fun snacks). If you are really ambitious and if you have the support of lots of local friends, hold a carnival with a duck pond, dunk tank, cake walk, and other fun games with prizes. Be sure to have a concession stand at the carnival, too! Here is the Hogeland family's blurb about their Memorial Day Weekend Family Fun Day. One family even chose to do a Barn Dance! Another idea is Karoke Night. Consider adding a raffle like this family did! Other creative ideas: Dance-A-Thon, Dribble-A-Thon, Shoot-A-Thon, Swim-A-Thon, Hula-hoop-A-Thon . . . any A-Thon you can think of! This is an awesome opportunity to serve widows and advocate for orphans at the same time! Ask permission to set up a booth at a mall during the holiday season, enlist some friends to help, and take donations for gift wrapping. Mini sessions every 30 min. they get a CD with 10 images for a set price. Spin Off: Try this MOPS idea and do an Antique Photo Fundraiser! They sold $10 coupons for one 10×13 photo with options to buy more photos. Chrome Buffalo ~ choose a shirt design, sign-up for a ten day drive, and make $11 from each shirt you sell. One way to offset the cost and make more money is to ask businesses to sponsor a spot on the back of the shirt. Become an Ordinary Hero affiliate and link their products from your blog. Wild Olive Tees ~ learn more about fundraising here. You could also choose to sell totes instead of tees! So unique; be inspired! What creative idea can you concoct? This family made banks out of glass jars. Inside the jars they tucked a note of explanation and some chocolate hugs & kisses. Families who took the jars threw all their spare change inside. The Curtis Family is selling a Coming Home Cook Book filled with adoption stories and favorite ethnic recipes! Sometimes you don't have a lot of money to invest to get a fundraiser going. This list is for you! The following fundraisers are NO RISK. Give One, Save One ~ each week they feature different families adopting, asking their readers to give $1 to the family. You can contact them if you would like to be a featured family. Hope Suds features one adoptive family per month and gives them 50% of the proceeds from each bag of soap sold! Apply to become a Hope Suds Family. Just Love Coffee ~ learn more about fundraising here; feel free to order something from our shop! She Does Justice ~ This is an affiliate opportunity. Put a button on the sidebar of your blog. If anyone purchases through your link, you will receive 25% commission on that sale. Shoot My Kids! ~ every time you refer a mom who attends a Shoot My Kids! workshop, you receive $25 for your adoption; you do not have to be local as she offers online web-based workshops. Fundraising information here. Lots of our fundraisers (Apparent Project, Kwagala Project, and Threads of Hope) were win-win fundraisers. They are the best. People love to support a good cause (I sure do), and people doubly love to support two good causes. Most of these are already mentioned throughout the post, but I wanted to compile them in one place for those of you who love the win-win fundraisers! Locate a friend who sells Usborne, Pampered Chef, Tastefully Simple, etc. and ask them if they would support your adoption by donating commission from a party (one that you host!) to your fund. Mercy Found Ministries has compiled a list of direct sales consultants who are willing to partner with adoptive families. 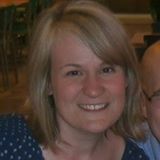 Michelle with Usborne Books will give you 100% of her commission for your adoption fund if you host a party with her. Look how the Walser Family took this idea to the next level with their Vendor Blender! Have you done or are you doing a fundraiser that isn't on the list? I'd love to add it! Please leave a comment. Wow! This is so amazing!! Thank you for putting together such a huge list! Imagine my shock when I went through the list and saw our fundraiser (Cha-Ching for Ting) linked! Thanks! It has been a wonderful fundraiser – banks are still coming in and with wonderful stories of how families have gotten involved – even offices (some were taken to work!). Won’t know our total for a bit while the banks are still coming in. Some people are keeping the banks to fill again for us!! So far we have 2 and a half large pretzel jars (the big ones) full – and that doesn’t include the other jar full of the bills that have come in or the checks that people lovingly added to their banks! This was such an easy fundraiser and could have even been done on a grander scale. We gave these out as people left another of our fundraisers – a holiday market! We are one month away from travel to our little Ting in China! I, too, was shocked to find our little blog on the list! I’m a TOTAL newbie in the blogosphere Thank you for including us, and thank you for posting such a great resource! Thanks for including me in your list, Amy! This really is an Ultimate list!!! Thank you for including us on the list. What a WONDERFUL resource for adopting families! This is such an incredible list! Thank you so much for taking the time to compile this to benefit other families, and for including MercyFound’s resource page as well. We pray it will be a blessing to many! We are new but have had many successful families utilize our program and are trying to get the word out. Thank you! Found you through MercyFounds repost and saw my blog on your list! How fun! I didn’t see the puzzle idea, or like the youngs did a virtual cupcake sale. When you’re down to te wire, an out of time to sell things, this can be a quick fun way to see God provide! Thanks for putting together this awesome resource for families! This is AMAZING! So many that even I hadn’t heard of. Thank you for taking time to compile this for families. What a blessing! Wish there would have been this list available to us at our time of Adoption. Very sweet of you to do this. We sold pizza’s from our local pizza parlor, we made up flyers with our information and contact information of the website we had and posted them anywhere they would be allowed – community involvement. We also spread the word that we would haul off anything folks needed hauled away, or items they no longer wanted…spring, fall cleaning many said and then we would scrap the items that were available for scrap or sell the items through resale that were available for that. It became successful too and it also helped those clean around their home as they seen fit. A local tattoo studio did an Adoption benefit for us, it was their first and it was very successful. We offered our time over and over again. Finally were successful with the Adoption of a baby girl in August 2011. Our heartache and hard work had turned to the most precious feeling in the world. We pray for those seeking Adoption have their dreams come true for we finally relaized they really do. I offer direct sales fundraising for my store! I also offer free items when available for online auctions! We have 200+ DIY ideas at our site. Please feel free to use any that would be appropriate for adoption groups. Thanks so much for compiling this list! We are soon to be a "waiting family" for our second domestic adoption and needed some inspiration for fundraising. This has provided some wonderful ideas. Now, we will pray God gives us direction. I am always willing to give 100% off the commissions from Arbonne classes about skin care or nutrition that I do for people. People usually raise about $100-$250 in just a couple of hours with about 6-10 people in attendance. Thanks for linking me. I will definitely share this post! What a great list! I would love for you to add my company – Created New – to the list. We offer no risk, online fundraising through our fashionable infinity ruffle scarf. We starting doing adoption fundraising in the spring of 2013, and it has been a huge success. We are now signing families up for the fall. Thanks! What an awesome list. I have also used Mavuno Market. A nonprofit in Colorado. They send a box of faur trade items for you to sell and you keep a portion of the total. They also run Passion for Orphans. Thanks you so much for sharing this adoption fundraiser list. I am also doing doing fundraising for chairties and churches. continuetogive.com provides mayn online fundraising tool to easy fundraisng from website. Raise money online by online tithing and fundraising. Thank you so much for this list, we are praying fervently for y'all to get to your little girl! Exactly what I was looking for as a resource to point other AP's to! Thank you for putting this together! Auctions, games, and raffles are popular ways to raise even more money. The best raffles and auctions feature items that tie back to your cause or reflect your community’s unique interests. Hi Ami. Your story is inspiring. I've shared with my sister who is going through the adoption process, trying to bring home their baby girl from Ethiopia. Great company that gives back a percentage of each sale to charity, and also has a great fundraising program! Perhaps you'd like to check them out too. recycled to make yarn, insulation, or wiping rags for local industry. Thank you soooo much for this list (and site in general)! It has seriously lowered my blood pressure and stress level when it comes to finding ways to afford my upcoming adoption. I have posted a link to your site in my adoption blog and I will be adding some more fundraising ideas over the next few months. Thanks again! Thank you is not kind enough words. My husband I just met with an adoption agency yesterday and were heartbroken by the amount it would cost. Still, God has a plan for us and after reading through your page and links, I have HOPE again. I will try many of these. Truly blessed you shared this with everyone! This is a phenominal list! Thank you so much! I am starting a blog in March to provide encouragement to all the folks involved in one way or another in the adoption process and also have resources linked and available for adoptive families, specifically in the financial areas as well as practical resources for families in a variety of family dynamics. This is a great resource you've provided. Thank you!!! ps- I'd love to Pin this to my Pinterest board, but when I clicked the P button, it just took me to your site. Could you help me figure out how to pin this page? Thank you! At the very end of the post there is a little bitty “pin it” button. We are hoping to have a new design on the blog soon along with a big FAT “pin it” button. 🙂 Hope that helps! 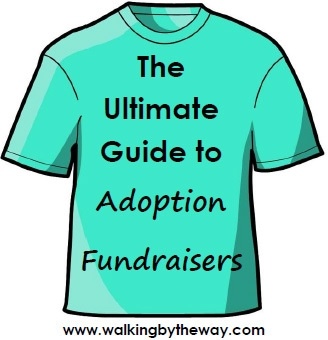 This is an amazing list for finding fundraisers! They could also be used for charitable causes. Thanks so much for sharing all of these! Wow what a great list, thanks so much for spending the time putting this all together!